We are not reliant on a third party to ensure you receive workwear orders in a quick and efficient manner. You also get the product at a far better price! Corporate clothing specialists Jaybee Supplies Ltd was set up in 2012 by the two directors, Ben Rhodes and Jan Vayisoglu. The company has grown rapidly and now has a team of staff, all with expertise in their areas. We pride ourselves on a high level of customer service and 100% retention of clients. Our workwear consultants offer a wide knowledge of all our products as well as the specific industry requirements for safety. We have recently invested a large amount of money into a new state of the art Tajima eight header machine. 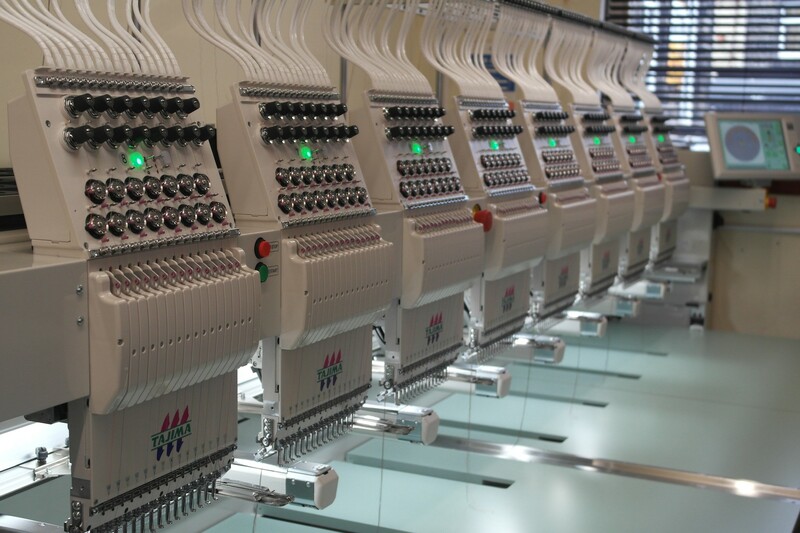 This provides high level and durable embroidery and will ultimately improve the production process at Jaybee Supplies. 10We pride ourselves on a high level of customer service and 100% retention of clients. Over the last three years we have doubled our sales year on year, enabling us to offer clients a reliable and robust service. We can make the service "tailor-made" meaning that your future ordering suits both business and distribution requirements.